I purchased this e-book as it was so cheap - $2 cheap, so I thought, how can you go wrong? I was also hankering for some honest-to-good sci-fi and this book delivers. Taking place in a distant future, super-intelligent computers called Colony pilot huge ships carrying everything a planet needs to be colonized: machines, materials to build shelter and equipment, and embryos of animals and humans. Porter is one of those humans, his embryo activated and grown 15 years before reaching his new home. Floating within his liquid incubation cell, he is trained and educated by Colony in his designated profession (psychologist) and on what his purpose in life is: to produce profit for the faraway humans who sent him and 500 others out here. At least, that was the idea. Suddenly, Porter is woken up. He is surrounded by smoke, flames and the smell of burning flesh. Colony has crash landed. Now, they're on their own. Half Way Home starts off with a really interesting premise, kinda like a futuristic Lord of the Flies and while I thought this was a good read (again, $2!) I can't say this was an amazing book. For one thing, it feels too short and you're cut off just as things start to get really interesting. Actually, this book feels like the first part of a mini-series and it reads very much like a movie. That being said, I found it hard to put down and raced through to the end. This book is a good weekend read, if nothing else! 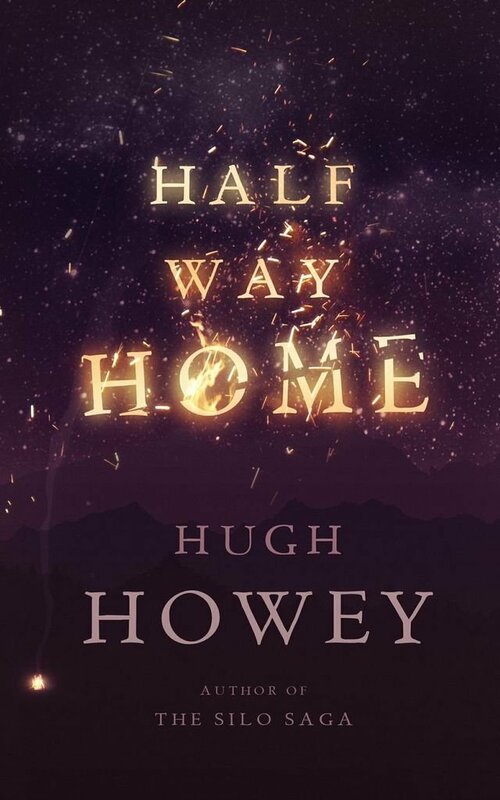 Purchase Half Way Home via Amazon.